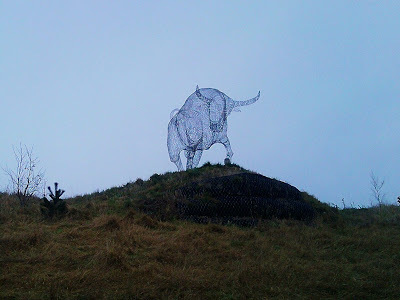 This Sculpture commererate's Táin Bó Cúailnge , the Cattle raid of Cooley. It is one of the legendary tales from Irish history and is written in prose form and includes supernatural beings and epic battles. I will post the full story later elsewhere but the readers digest version of the tale is Queen Medb (Maeve) of Connaught was arguing with her husband Ailill one evening over which of them were the richest* , one thing that made Medbh mad with jealousy was Ailill's Great white bull was better than anything she possessed. 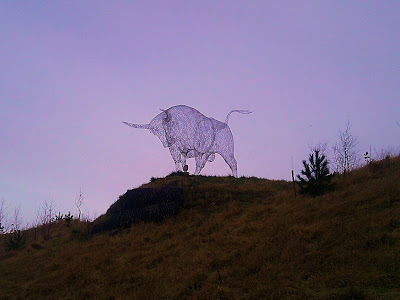 She found out that Daire of Cooley on the other side of the country had a bull twice the size of Ailills. She sent messengers to Daire and they came to an agreement where she would get the lend of the bull for a year. However one of the messengers got drunk and let it slip that they would have taken the bull by force, if they did not come to an agreement. Daire was furious when he heard this and told the messengers that Medb would have to take the bull by force. She sent her army and even with the help of Daires greatest warrior Cuchulainn** and Supernatural beings Daire could not prevent them taking the bull. * Until the 17th Century Women had equal rights as men, then the British declared them barbaric and outlawed them, bringing their more civilised system of class and women being second class citezens. **Cuchulainn (the hound of Culann) was one of Irish greatest warriors, his real name was Setanta and he got his name from killing the hound that protected Culann. He was small in stature but in battle would transform into a raging warrior, he was a descendant of the Gods. That's a cool one - hadn't seen that one before. The silhouette-like effect is really cool! The Tain trail would take the summer. Cool ... !!! What is it made from, metal wire? Ive just seen this site by accident, you are correct it is stainless steel wire or tube really that has been twisted and welded into place. 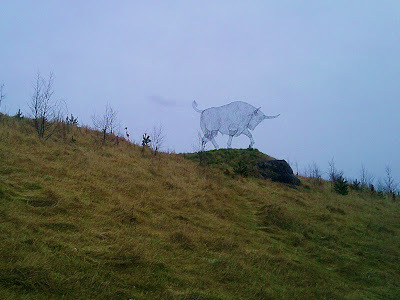 The idea was that it would represent the ghost of the brown bull of Cooley. I really like the idea of it being like a computer graphic though, I'd never thought of it that way before. I am the artists daughter, so it makes me very proud to see that people like it! He also did the Cu Chulainn sculpture on the Tain bridge and a sculture of Ferdia's helmet "The Fallen Warrior" in Ardee. It is one of the most striking Sculptures I have seen, the pity is I have had to explain to guys travelling with me the meaning of it, damn kids these days. I also love Ferdias helmet near the roundabout in Ardee, but I am always going by when the traffic is busy, which seems to be always and have not gotten a picture of it yet, I will look out for the other one. A lovely photo. I'll look for the site the next time I visit Ireland. I'm reading The Tain now. Thanks. 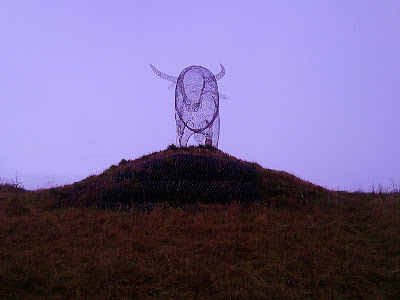 I used one of the photos to illustrate a post I made about the Tain, with a credit and a link to this blog. Let me know if this is a problem! I rode the bus from Dublin to Belfast my first time in Ireland, so I may have passed it. I didn't know to look for it, though. I may be back again soon. If so, I'll keep my eyes open. 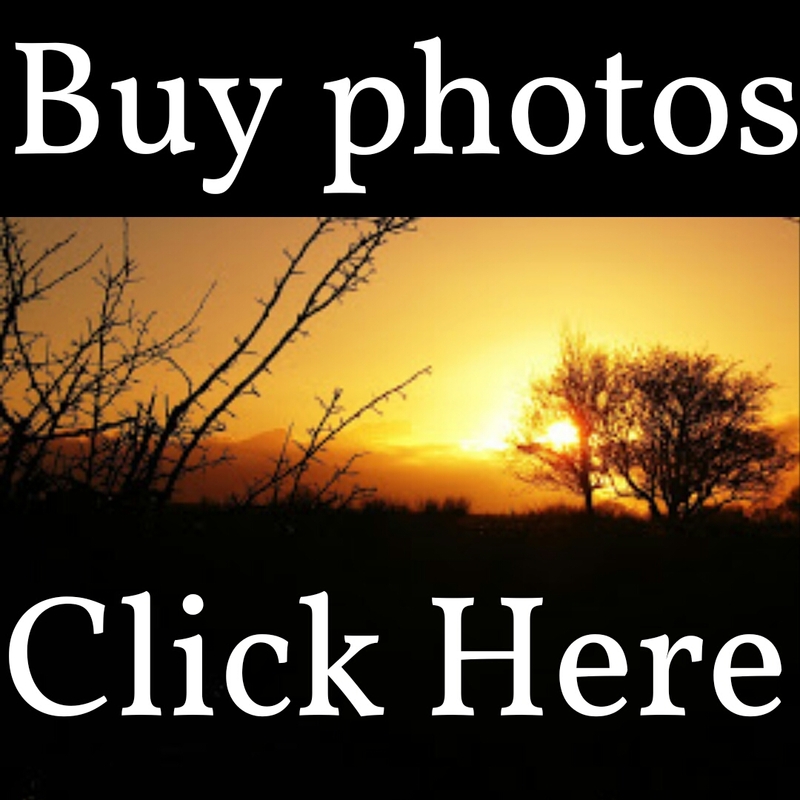 The photos that appear to have been taken at dusk are beautiful enough that I'd give you credit even if you didn't want it.